Heidi and I went to St. Mike’s together and apparently our time at St. Mike’s overlapped with Brian… I don’t remember him, I was a senior, he was a freshman. He does remember my husband’s huge proposal that included a very large piece of campus… but that’s another story. Heidi also doesn’t remember Brian BUT she does have a picture of her friend at a party standing next to some random guy… that’s right, it’s Brian. She met him after she graduated… and now wedding bells will be ringing at the St. Mike’s chapel in August! First comes love, then comes the e-session, the comes marriage…, right? 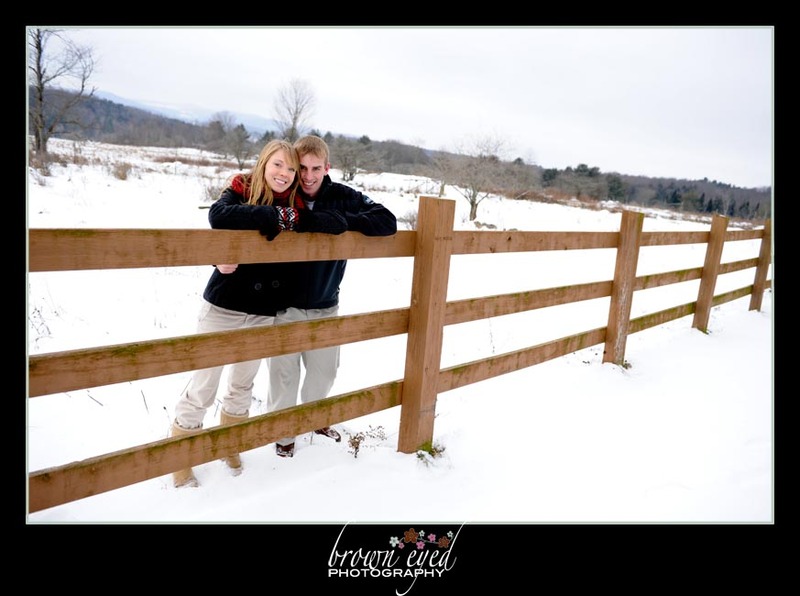 Brian and Heidi make the 1.5 drive up to Enosburg, Vermont for their snowy e-session. Fun, but cold. 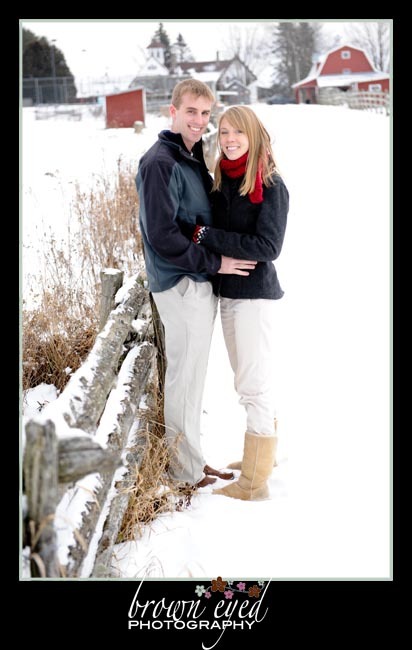 They want their wedding to say “Vermont”- I think we got it in the e-session. Can’t wait to incorporate their love for Vermont in their wedding pictures. I’ve been wanting to do a snow session since… well, probably when I was hot hot in July. 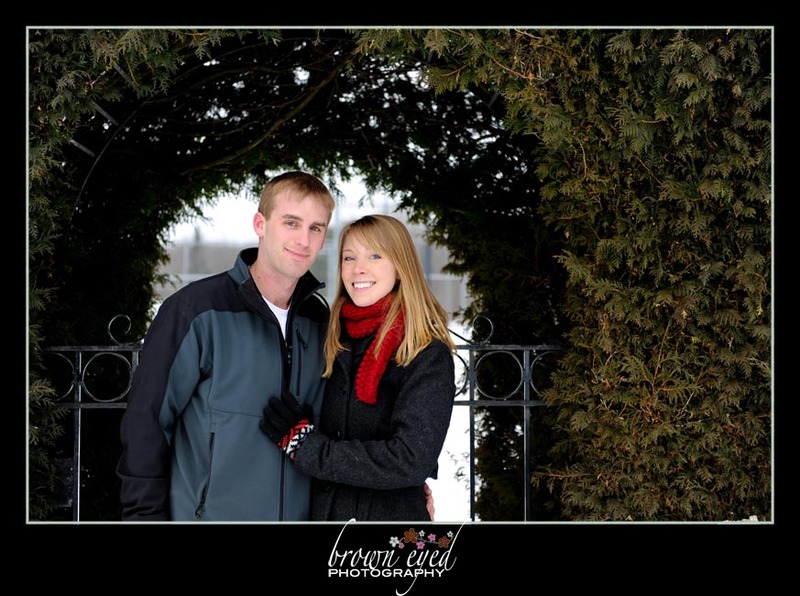 Thank you both for braving the cold for your e-session!